Please pray for your Christian brothers and sisters in the Central African Republic. Please pray for the children. 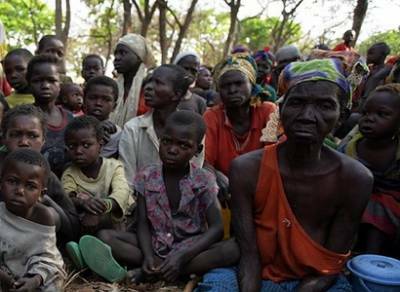 Three quarters of a million people have been displaced because of the violence, because of the brutal Muslim force (Seleka) that has left the predominantly Christian nation in anarchy. This is a country that borders with Sudan, not exactly a Christian friendly neighbor. The UN agency for children says attacks against children have reached new levels of viciousness in the Central African Republic (CAR), where fighting between Muslim Seleka rebels and Christian militias left more than 1,000 people dead and displaced an estimated 400,000 in Bangui, the capital, this month. According to Unicef, at least at least two children have been beheaded, and one of them mutilated, in the violence that has gripped Bangui since early December. "We are witnessing unprecedented levels of violence against children. More and more children are being recruited into armed groups, and they are also being directly targeted in atrocious revenge attacks," said Souleymane Diabate, Unicef representative in CAR. "Targeted attacks against children are a violation of international humanitarian and human rights law and must stop immediately. Concrete action is needed now to prevent violence against children." Unicef and its partners say they have verified the killings of at least 16 children, and injuries among 60, since the outbreak of communal violence in Bangui on 5 December. In November, the UN warned that the number of child soldiers in the former French colony had more than doubled to up to 6,000 as anti-balaka militias have sprung up to counterattacks by the Seleka. Diabate said armed groups were accountable for taking specific measures to provide protection to children. These include: clear directives by those in positions of authority within armed forces and groups to halt violations against children, meaning that children must not be recruited into the fighting, nor targeted. Unicef also called for the immediate release of children associated with armed forces and groups, and their protection from reprisals. Transit centres set up for the release and reintegration of children must also be protected from attacks. 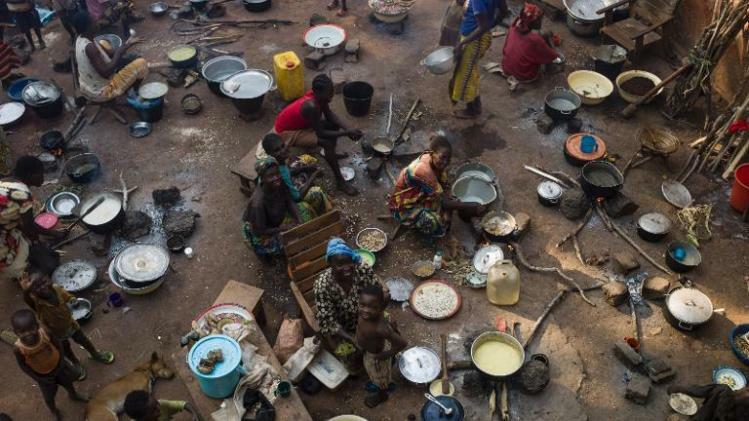 Some 370,000 people – almost half the population of Bangui – have been displaced to dozens of sites across the capital over the past three weeks. About 785,000 people have been internally displaced throughout the country since the outbreak of violence more than a year ago. Médecins Sans Frontières (MSF), the medical charity, said on Monday that fighting, lynchings and violent attacks remained a daily occurrence in Bangui, and the situation in the city appeared to be out of control, despite the presence of international armed forces in the capital. "We have been receiving more patients with serious injuries at the Hôpital Communautaire in the last few days," said Laurent Sury, MSF's emergency co-ordinator in Bangui. "People are coming in with machete wounds to the head, hands and arms – injuries sustained as they tried to defend themselves. We've also seen people who have been stabbed, sometimes multiple times, in the abdomen, and people who have been either tortured or brutally beaten. We have even had a case of impalement. For the most part, these are young men." MSF said health facilities had been affected by the violence, hindering the provision of medical aid. On Sunday, a ministry of health ambulance was stopped and the staff were threatened with violence, preventing them from collecting the wounded. On the same day, armed men entered the Hôpital Communautaire with the intention of lynching patients, while health staff were threatened. "The atmosphere is getting increasingly tense with each of these 'visits', as the attackers become more and more aggressive and angry," said Thomas Curbillon, MSF's head of mission in Bangui. "It is totally unacceptable that health facilities are not being respected and are being invaded by armed people who constitute a threat to patients and staff. The insecurity and the gunfire in different areas, especially around the hospital, impede people's ability to move around." The UN launched an appeal for $152m last week to rapidly scale-up humanitarian operations over the next 100 days. The country has been plunged into chaos as its Christian majority seeks revenge against the Muslim rebels who seized power in a coup in March. Many Christian and Muslim civilians are armed, and the foreign troops brought in to try to rein in the violence have been sucked into the conflict and accused of taking sides. The Chadians, part of the African Union force, are Muslim and are seen by the population as backing the Seleka rebels who toppled the president. But 1,600 French troops who were deployed in the first week of December are accused of backing the Christian majority, and their patrols have come under fire in Muslim neighbourhoods. Many say the bloodshed has little to do with religion as Muslims and Christians had long lived in peace. Instead, they blame a political battle for control over resources in one of Africa's most weakly governed states. A young man reacts after his friend was badly injured by passing Chadian troops, during a protest outside Mpoko Airport in Bangui, Central African Republic, Monday, Dec. 23, 2013.